1. From your dashboard, hover over Events and select 'List Events'. 4. Once the event has been created you will be returned to the list of all current events as per the below screenshot. 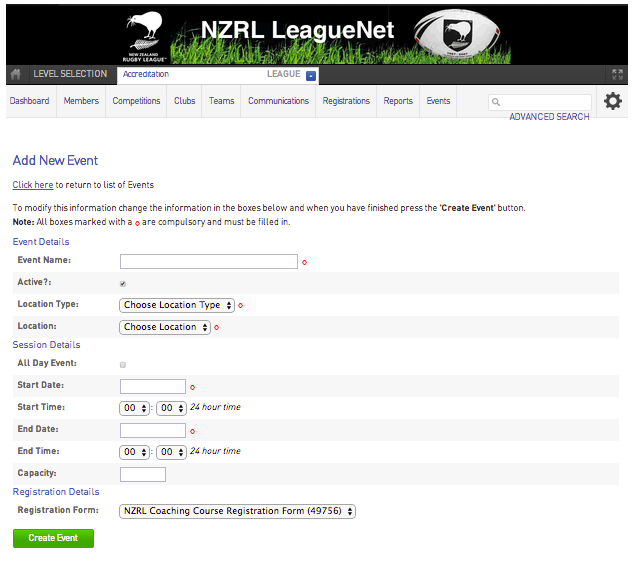 Select the Register icon next to the relevant event - this is the registration form that will need to be advertised on your website etc for participants to register to the event.